I just read an article written by an ag economist on the value of bred heifers. He wrote that a crossbred heifer producing 9 consecutive calves in her lifetime is worth just over $3,200. Whoa!!! Nine calves! To be fair the author acknowledges that not all heifers will produce 9 consecutive calves. He figures 34% will die or be culled before their 9th year. I think he’s a little off. With those assumptions, which under range conditions are pretty optimistic, we’d need to replace 16% of the herd each year (5 + 5 + 5 + 1 = 16). If the replacement rate is 16% how many of those original 100 heifers do you think will still be in the herd after nine years? Do the math and you’ll see that only 22 of our original 100 heifers will make it to the end of the 9th year. The economist may be right. The 22 heifers that will produce 9 consecutive calves might be worth $3,200 … and I wish I could tell those 22 from the other 78 when they are still heifers! I told the audience at a recent workshop that cow depreciation is the biggest cost of keeping a cow. During a break one of the participants asked me to elaborate on that. I started by asking the cost of his replacements. He raised his own replacements but said that if he sold his bred heifers he’d probably get $2,900. I then asked the price he’d get when he sold open, dry or cull animals. Of course it would vary by cow age and condition and market conditions, but he settled on an average of $1,500. Once we had that figured out I asked him to estimate rates for conception, weaning, culling and death loss. Adding it up, it came to a 20% replacement rate. (That’s normal in a typical cow herd.) After doing a little napkin math he was none too happy when I showed him that 49 of his bred heifers would not be in the herd after 3 years. He was even less pleased when I divided the difference between the purchase price and the cull price by 3 years (the average productive life of his cows) and showed him that the average annual depreciation on his cows was $467 per cow. Of course the open, dry and cull rates and death loss don’t happen at the same rate each year. Death loss and the open and dry rates for H2’s are usually significantly higher than they are for young cows. We make some pretty optimistic (and unrealistic) assumptions about the productivity of our animals … as optimistic and unrealistic as the economist that published the work on heifer projections. Nine calves per cow? In your dreams. 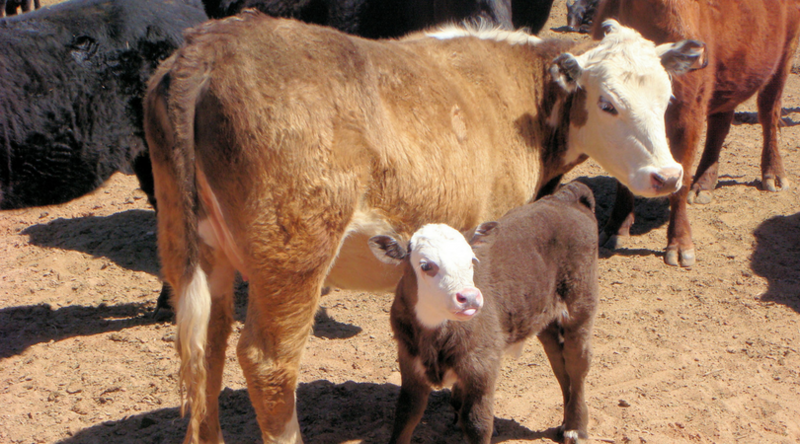 Ranching For Profit School alumni know that the cow calf business is the cull cow business. They also know that the key to the cull cow business is managing depreciation. I’ve written extensively about strategies for minimizing cow deprecation. Now it’s your turn. Please share your strategies with us.